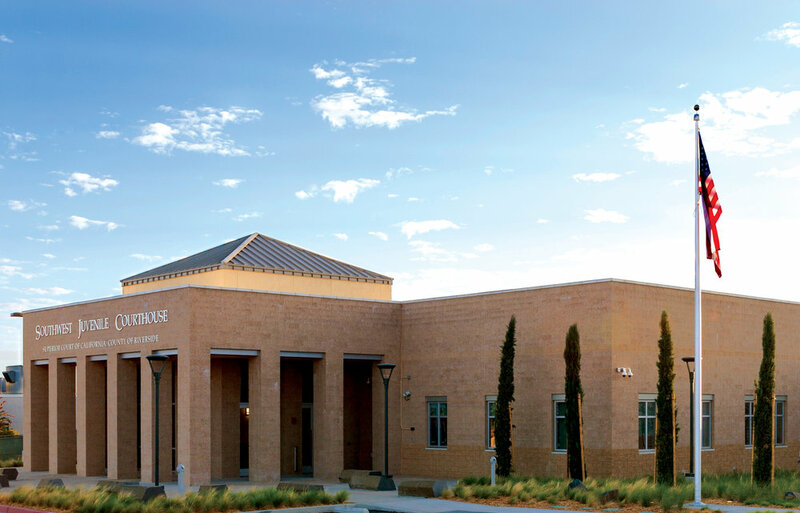 The standalone, ground up courthouse sits on a low hill with a five-story main courthouse and is attached to the juvenile detention facility. It houses delinquency and dependency courtrooms with separate holding areas, court operations and administration space, children’s waiting area and judicial chambers and support space. 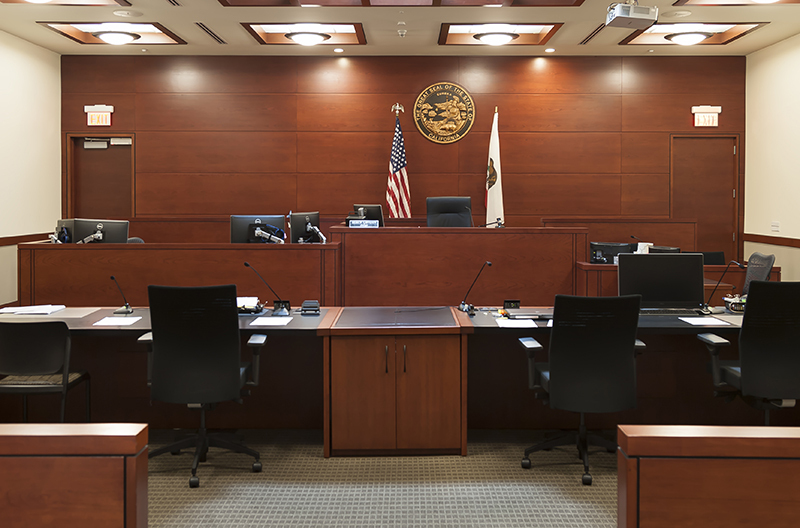 TSK took considerable care to develop a fiscally responsible material palette and design aesthetic that met the judiciary’s request for a strong presence. The result was an understated classicism that is distinctly civic while remaining within budget. Design and coordination workshops were held with judges, clerks, court administrators, probation and sheriff department representatives, and facility maintenance personnel. On screen manipulation of the computer 3-D models were performed live to change proposed designs to provide real-time feedback. This proved beneficial for the judges to understand sightline conditions at the bench through animated perspectives at each station of the bench. In real time, the heights and lengths of bench casework were manipulated to the judges’ satisfaction.